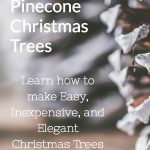 I came across this video while searching for a Christmas craft to do with my nieces, and just fell in love with these easy and elegant metallic pinecone Christmas trees! Take a look at this Swim Bike Run Pewter Triathlon Ornament that I found, it was perfect for our tree and might just be perfect for your tree too! I always drag my feet at the end of the season when it’s time to take the tree down. This year I decided to get smart, and look for some great ways to properly store everything. 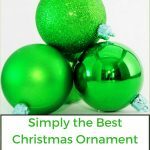 Take a look at my choices for the best Christmas ornament storage containers, I’m sure you can find the right one for you.